Repeater owners, users and fellow amateur radio operators from around the country have submitted detail information about their local repeaters. Submitters can edit the information at any time. We have the Largest, MOST accurate database available ANYWHERE. All the maps in this book are available on-line to members. 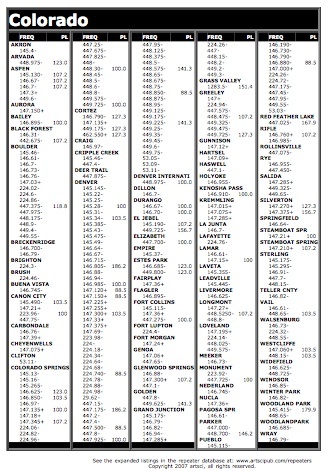 We have included the NOAA Weather Frequencies for the United States. A PERFECT travelling companion. 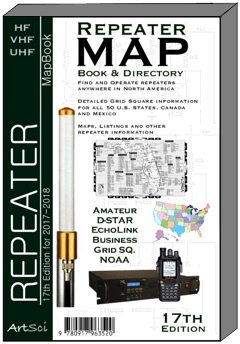 The Mapbook contains locations of hundreds upon hundreds of open repeaters throughout the U.S., Canada and Mexico. These DETAILED maps show all highways and major cities in each state. 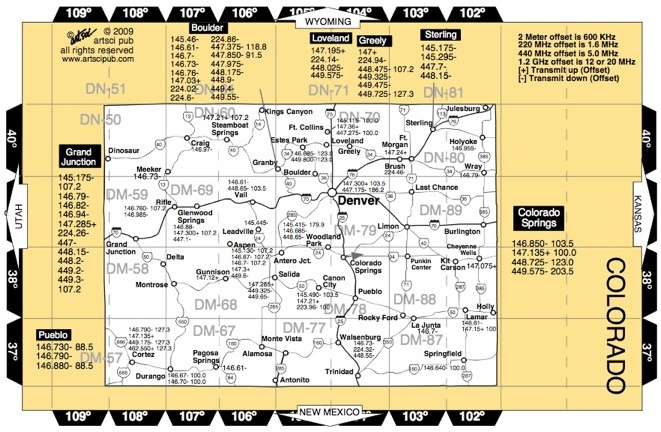 If you travel anywhere in the United States, this MAPbook will be the best investment you ever made!! Grid squares are shown for all 50 states. Maps are included for Canada and Mexico.